Save Big on Our Keystone Bullet 272BHS Travel Trailers! 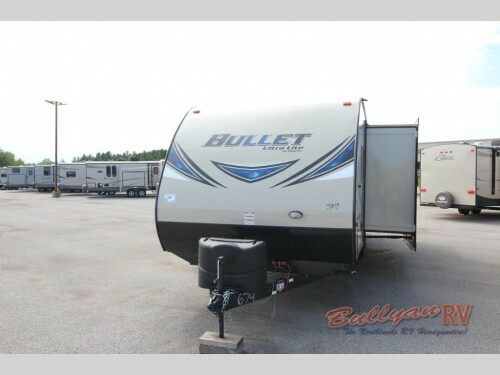 Check out Keystone Bullet 272BHS Travel Trailers! 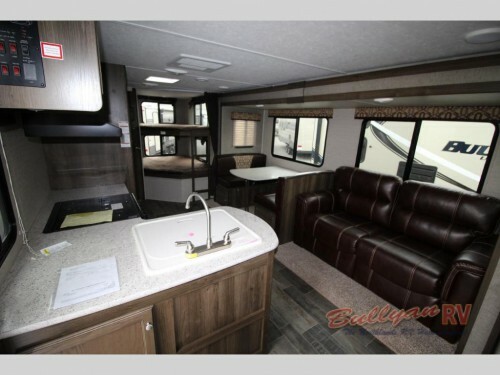 The Bullet 272BHS travel trailer comes with one large slide in the main area and room enough to sleep up to 9 people. With convertible furniture like the booth dinette and sofa, you can have both sitting and sleeping space in the main room. Plus, the queen master bed and set of double bed bunks will make room for everyone to have a place to call their own. Find room for everyone in the spacious interior with set of bunk beds. On the exterior of this Keystone Bullet, you will find two entryway doors. The first will lead into the main kitchen and living area and will be close to the master bedroom to give you easy access to these areas. 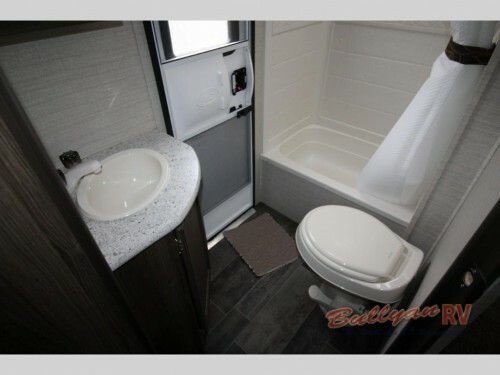 The second entry door is directly connected to the full kitchen, so you will not need to traipse all the way through the camper when you need to use the restroom. The second entryway door leads right into the bathroom! From the front to the back, you will find the highest quality amenities to make this RV your home-away-from-home. Take the kitchen for example. The L-shaped countertop will provide plenty of preparation space while making room for all of the same appliances you have at home. You will also enjoy the having plenty of overhead cabinets and a double door pantry to give you all of the storage you need. For your next RVing vacation, why not travel in the luxury provided by the Keystone Bullet 272BHS travel trailers found here at Bullyan RV? Contact us or come to our location to learn more about the benefits that come with these RVs as well as how you can save thousands to take one home with you today!